Today happened to be the last ACES Seminar hosted by the AOG, Polaris Hall is finally ready to be the main location for all Character and Leadership Development Seminars. 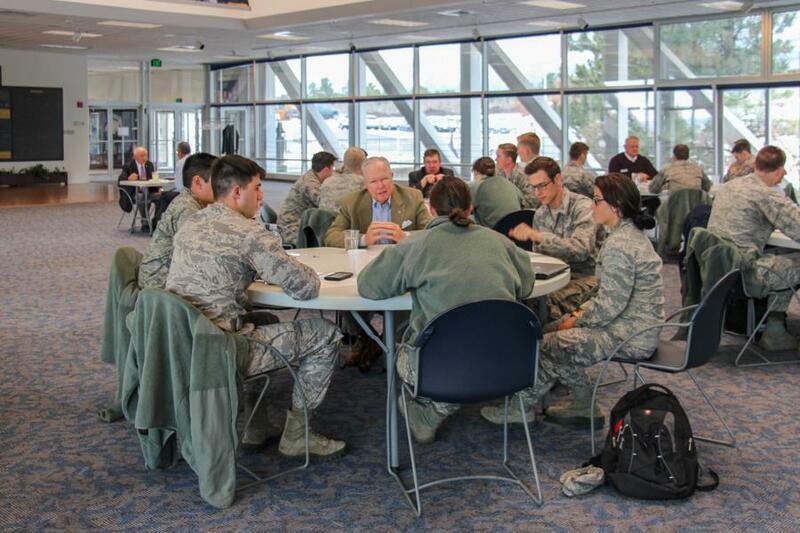 Academy Character Enrichment Seminar (ACES), that's what it stands for but what is ACES exactly? 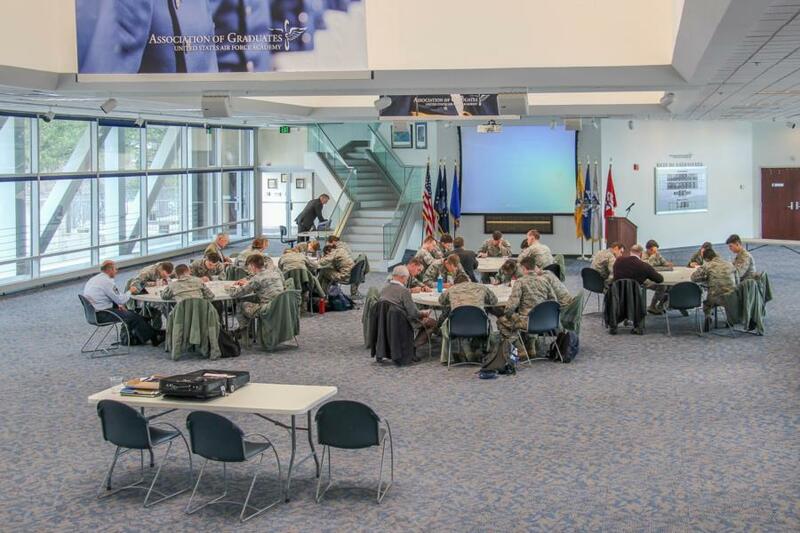 This one-day seminar is designed to focus attendees on the ethical demands placed on Air Force officers as they develop their organizational leadership skills. 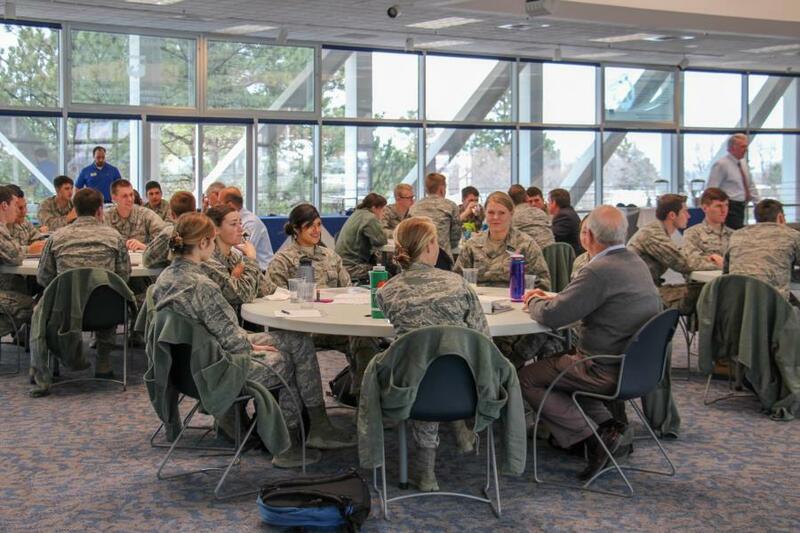 ACES helps the First Class Cadets (C1C's) examine their collective role in character development at the Academy and in the greater Air Force. The ACES Seminar ended on this quote. "Sometimes, you see, life gives us what we think is fair warning of the choices that will shape our future. On such occasions, we are able to look far along the path, up ahead to that distant point in the woods where the poet's "two roads" diverge. And then, if we are wise, we will take time to think and reflect before choosing which road to take before the junction is reached. But such occasions, in fact, are rather rare—far rarer, I suspect, than the confident eyes of one's early twenties can quite perceive. Far more often than we can comfortably admit, the most crucial of life's moments come like the scriptural "thief in the night." Suddenly and without notice, the crisis is up on us and the moment of choice is at hand—a moment fraught with import for ourselves, and for all who are depending on the choice we make. We find ourselves, if you will, plunged without warning into the icy water, where the currents of moral consequence run swift and deep, and where our fellow man - and yes, I believe our Maker—are waiting to see whether we will pass the rope. These are moments when instinct and character take command, as they took command for Arland Williams on the day our Lord would call him home. For there is no time, at such moments, for anything but fortitude and integrity. Debate and reflection and a leisurely weighing of the alternatives are luxuries we do not have. The only question is what kind of responsibility will come to the fore. And now we come to the heart of the matter, to the core lesson taught by the heroism of Arland Williams on January 13, 1982. For you see, the character that takes command in moments of crucial choices has already been determined. It has been determined by a thousand other choices made earlier in seemingly unimportant moments. It has been determined by all the little choices of years past—by all those times when the voice of conscience was at war with the voice of temptation—whispering the lie that it really doesn't matter. It has been determined by all the day-to-day decisions made when life seemed easy and crises seemed far away—the decisions that, piece by piece, bit by bit, developed habits of discipline or of laziness, habits of self-sacrifice or of self-indulgence, habits of duty and honor and integrity—or dishonor and shame. Because when life does get tough, and the crisis is undeniably at hand—when we must, in an instant look inward for strength of character to see us through—we will find nothing inside ourselves that we have not already put there." To view the rest of the pictures taken from today, go to Galleries - Military Training - Character and Leadership Development. Pictures start at the bottom of page 13. Or click the link below.